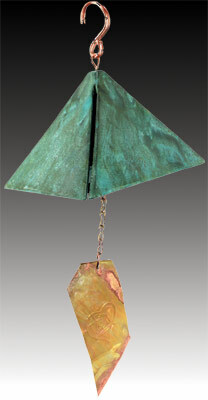 Harmony Hollow is the only bellmaker creating this type of single-casting triple tone bronze bell. Our triple tone steel bells are finished in a prerusted state, and the steel is the very hard Corten alloy. 8 lbs. - Length 27.5"
3 3/4 lbs. - Length 22.5"
3 1/2 lbs. - Length 18"